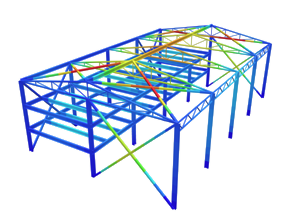 With non-structured quadrilateral meshes, user can mesh plates with any number of nodes. For instance, the below plate has been defined by 24 nodes. As long as the plate is completely planar, it will be able to mesh it effectively.